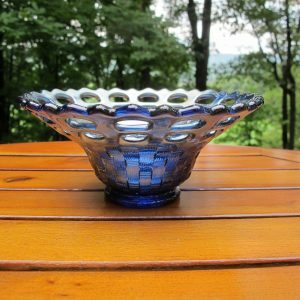 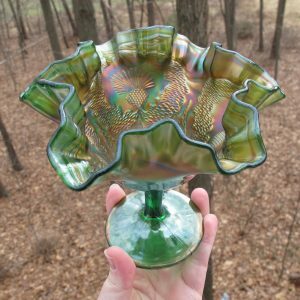 Fenton Art Glass Company, Williamstown, West Virginia, has been making high quality glass since 1905! 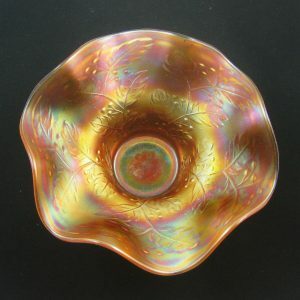 We offer a wide variety of antique Fenton Art Glass for Sale. 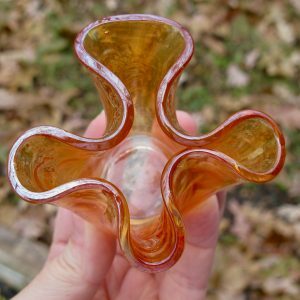 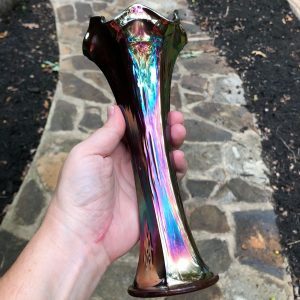 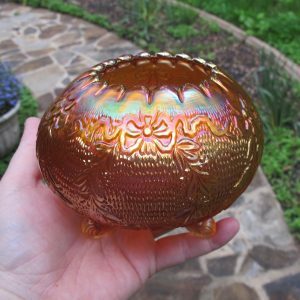 If you’re interested in Fenton glass, we offer antique Fenton Art Glass for sale on this page, and have many pieces of Fenton under on our other pages, ex. 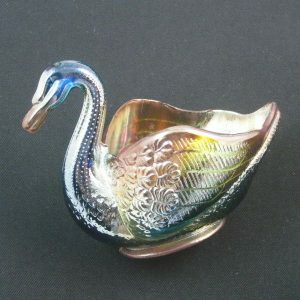 Contemporary Carnival, Opalescent Glass, Paperweights, etc. 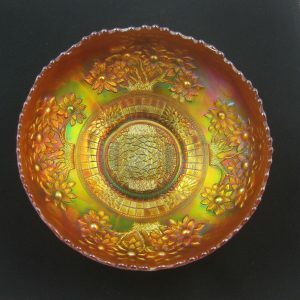 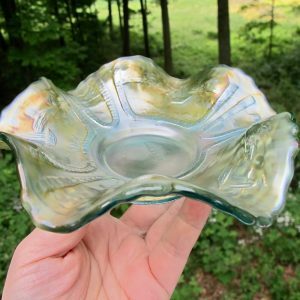 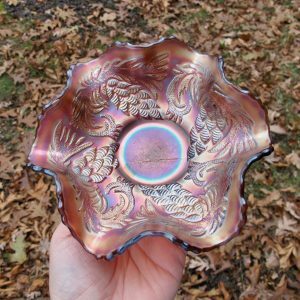 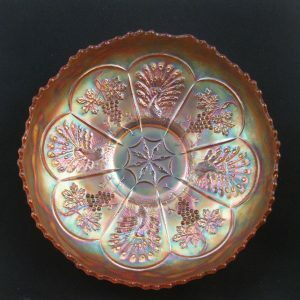 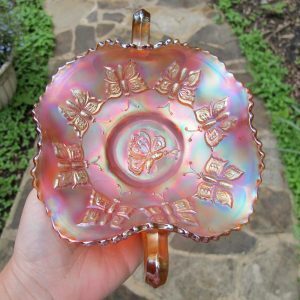 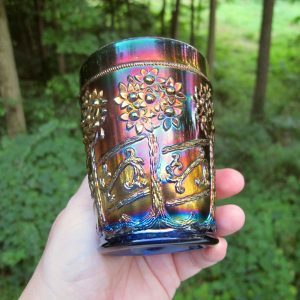 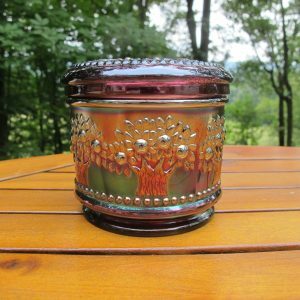 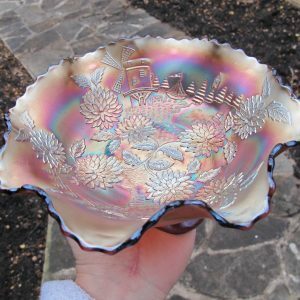 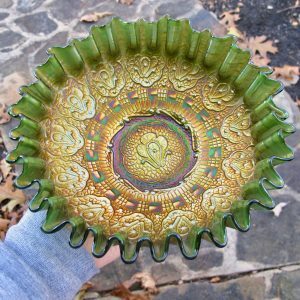 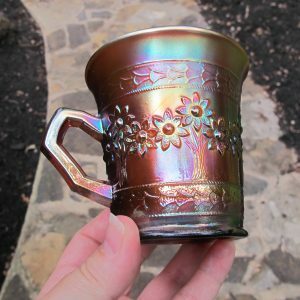 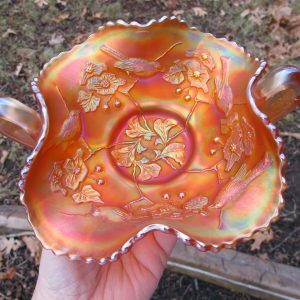 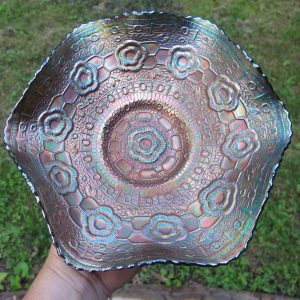 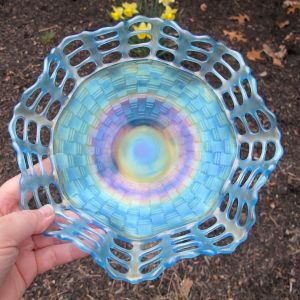 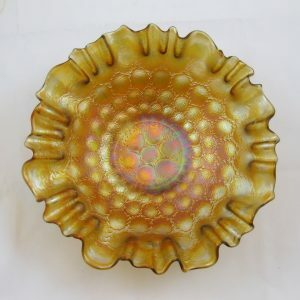 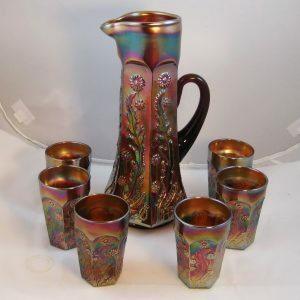 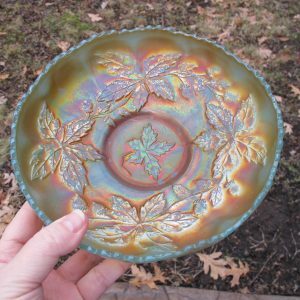 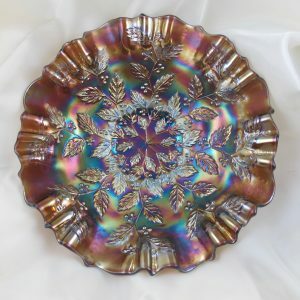 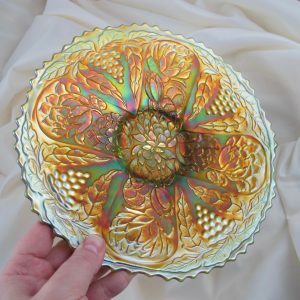 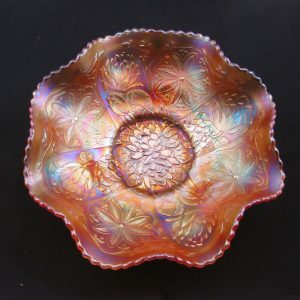 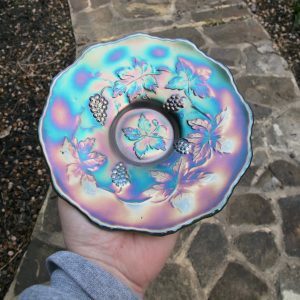 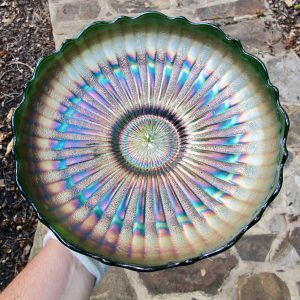 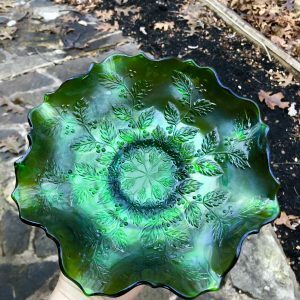 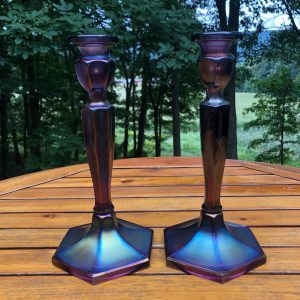 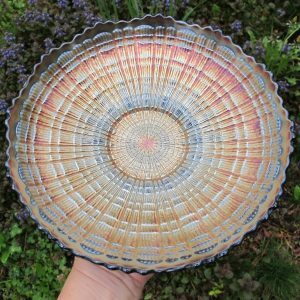 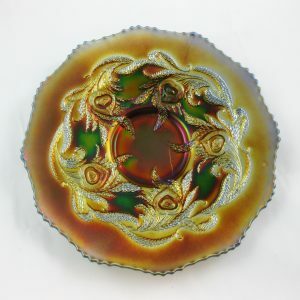 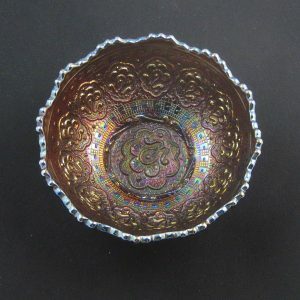 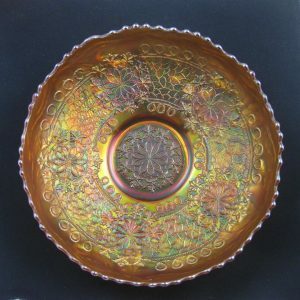 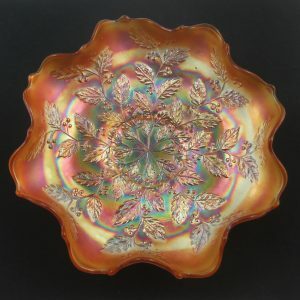 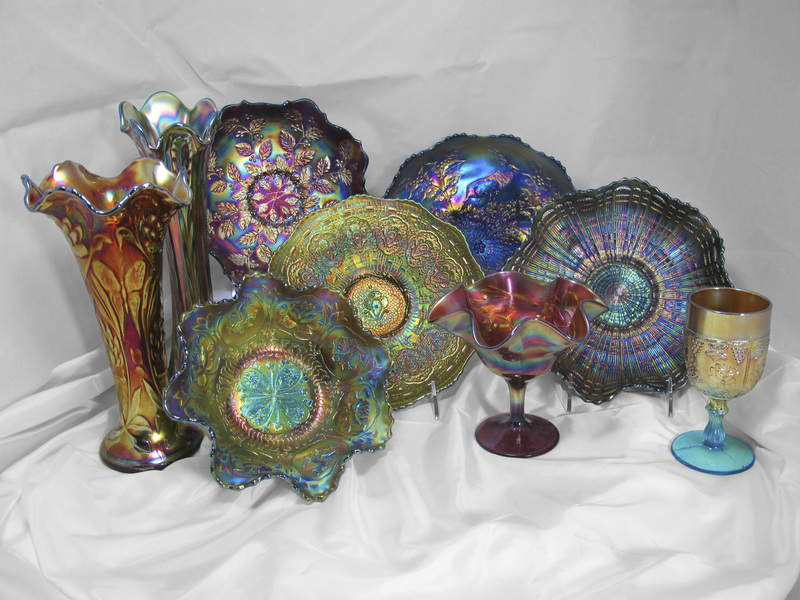 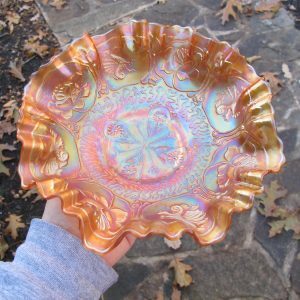 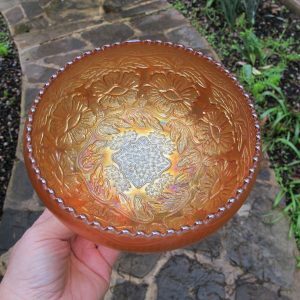 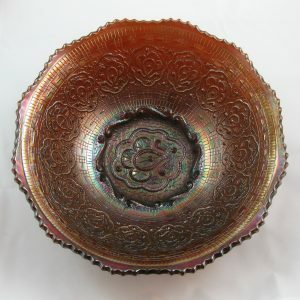 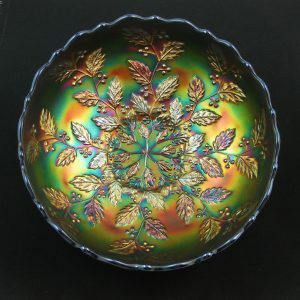 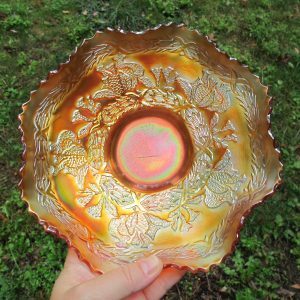 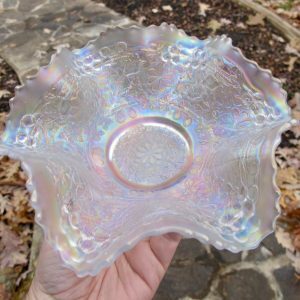 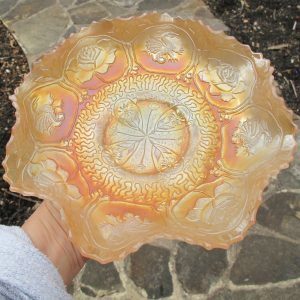 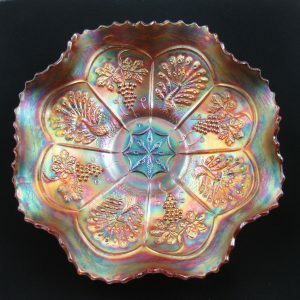 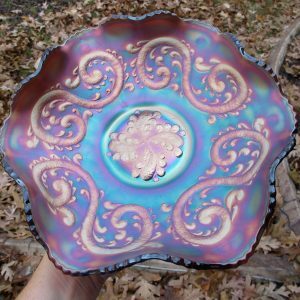 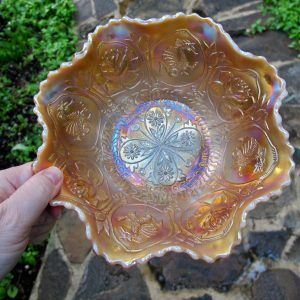 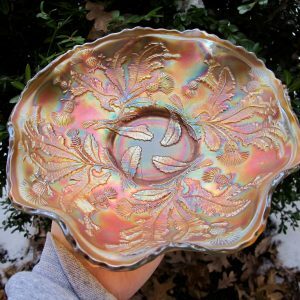 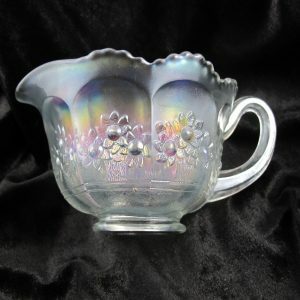 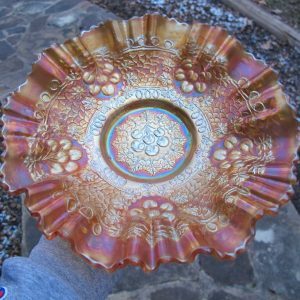 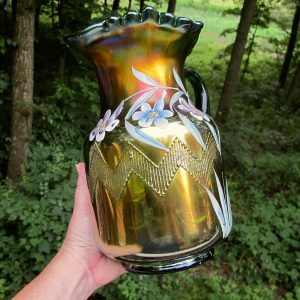 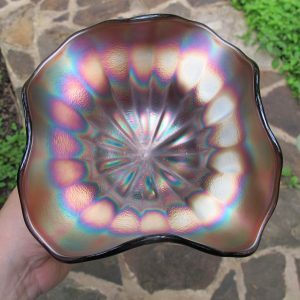 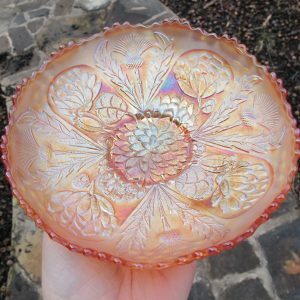 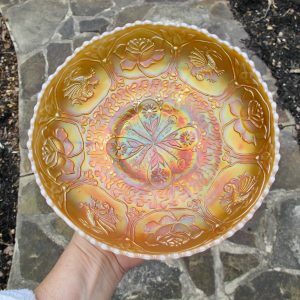 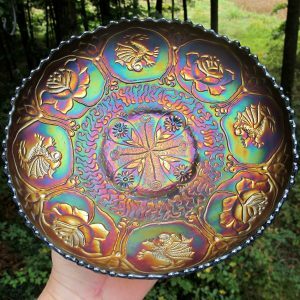 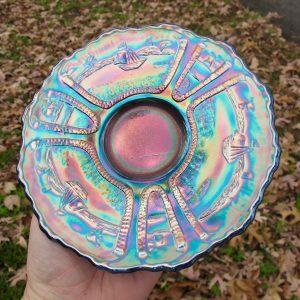 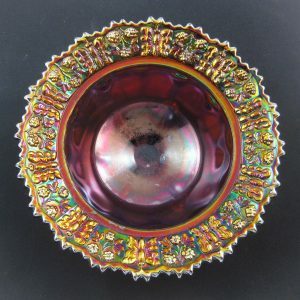 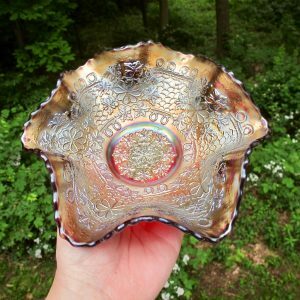 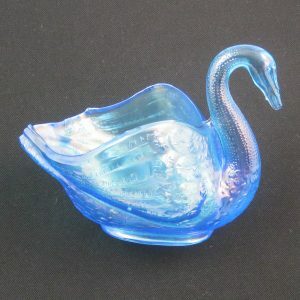 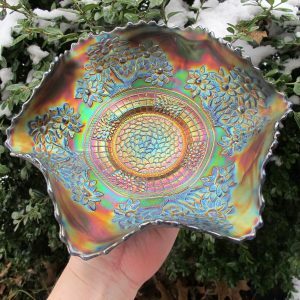 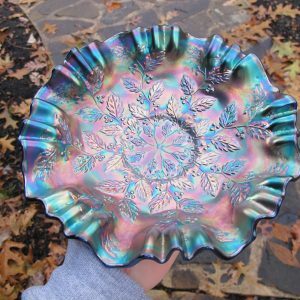 We endeavor to provide a nice selection of Fenton carnival glass for you, but if you don’t see what you’re looking for, please email or call! 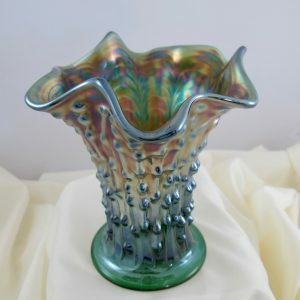 The Fenton Art Glass Company was started in 1905 by two brothers, Frank and John Fenton. 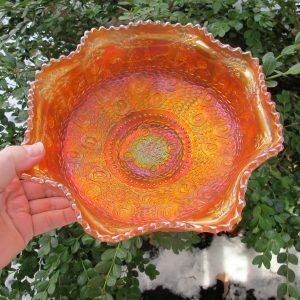 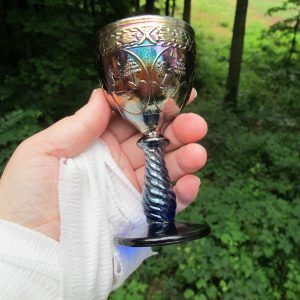 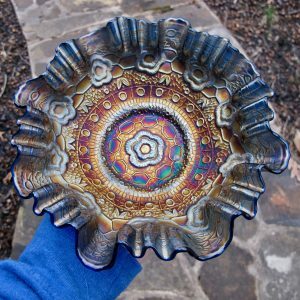 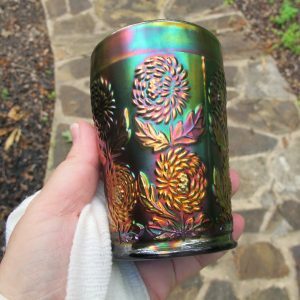 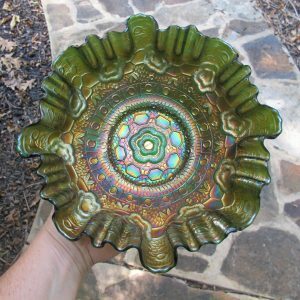 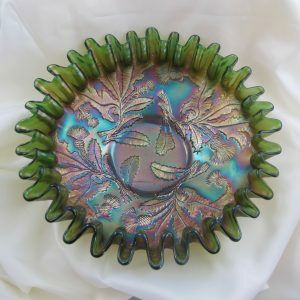 In addition to traditional handmade colored glass, they also made handpainted and blown pieces. 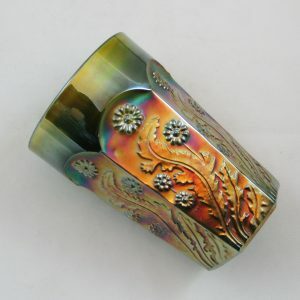 The company ceased glass making operations in 2011. 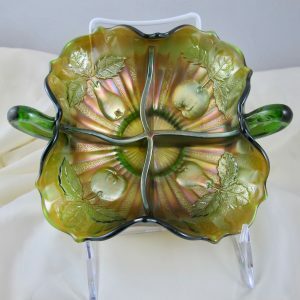 Antique Fenton Green Two Fruits Carnival Glass Bon Bon Square! 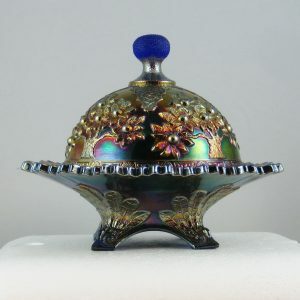 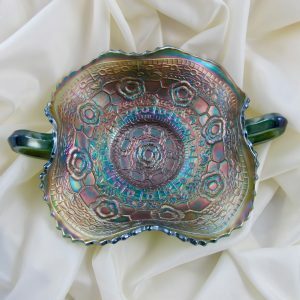 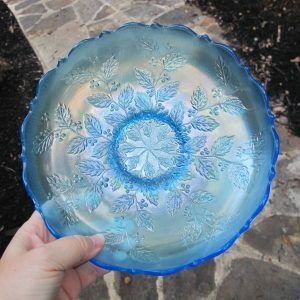 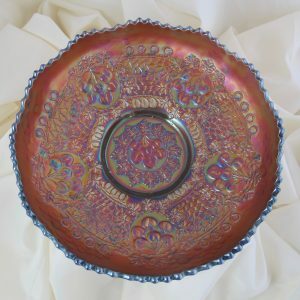 Antique Fenton Blue Dragon & Lotus Carnival Glass Bowl – Non-iridized Front! 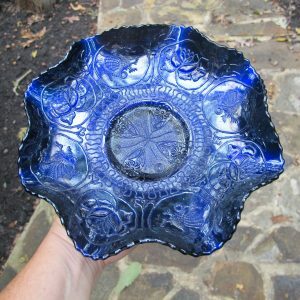 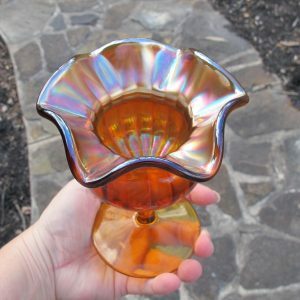 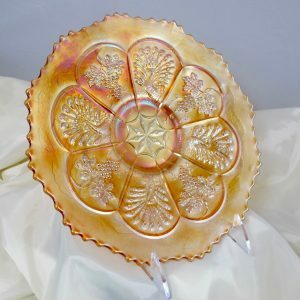 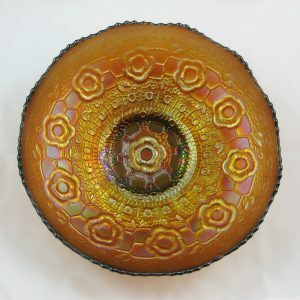 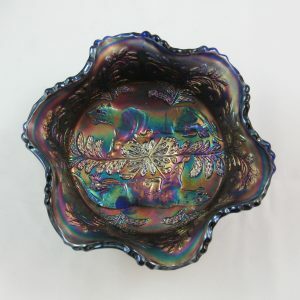 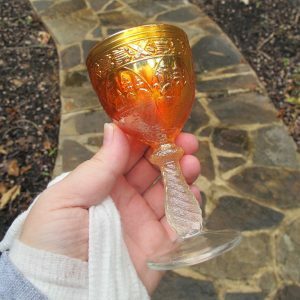 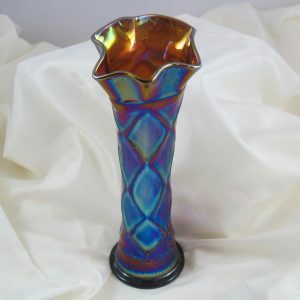 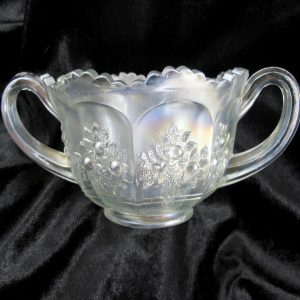 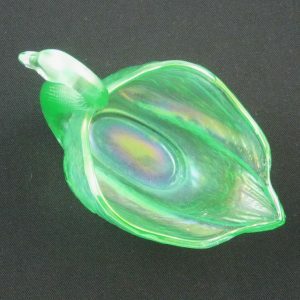 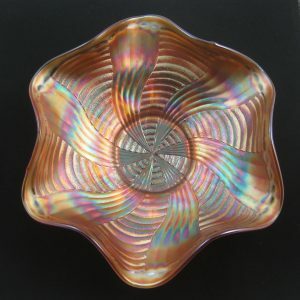 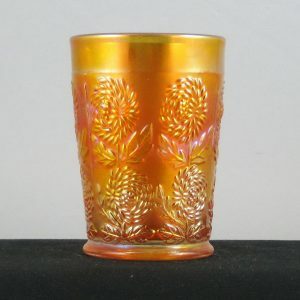 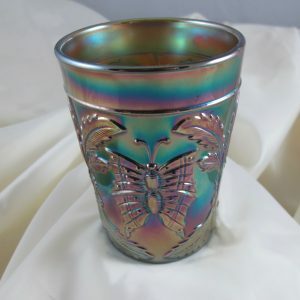 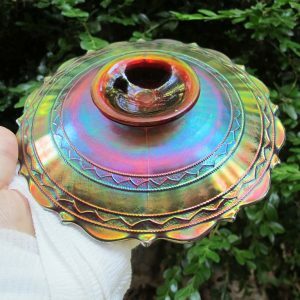 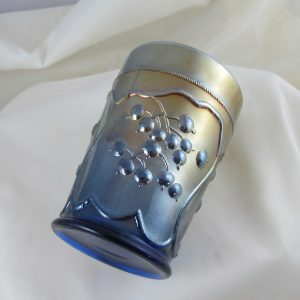 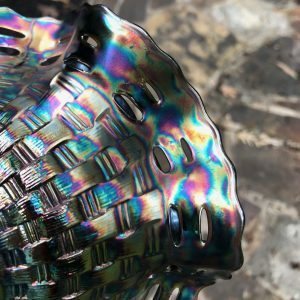 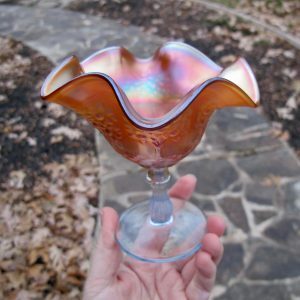 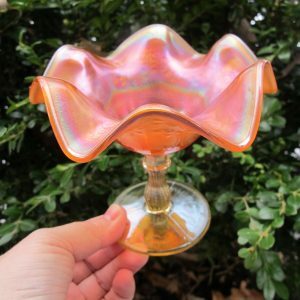 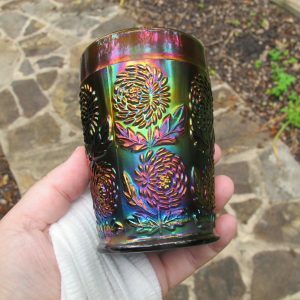 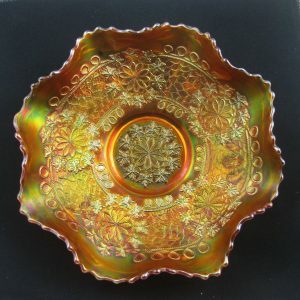 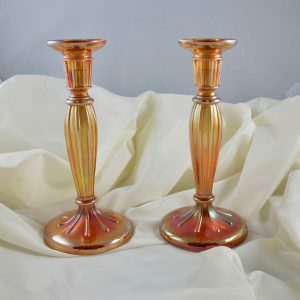 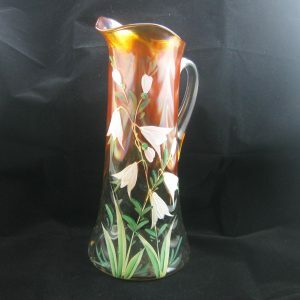 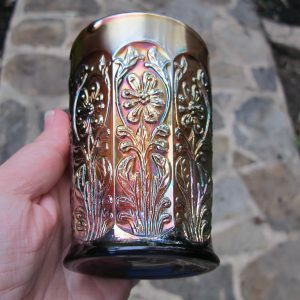 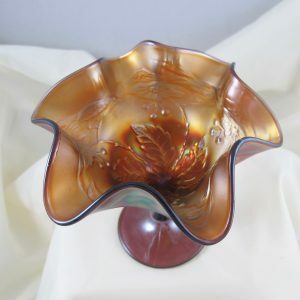 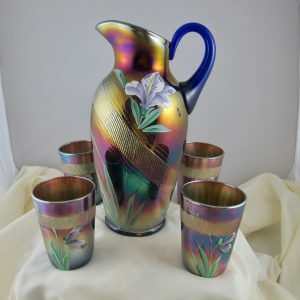 CarnivalGlass.com offers antiuqe Fenton Art Glass for sale in a large variety of colors, patterns and shapes. 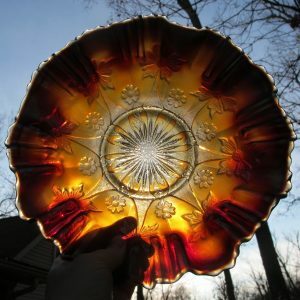 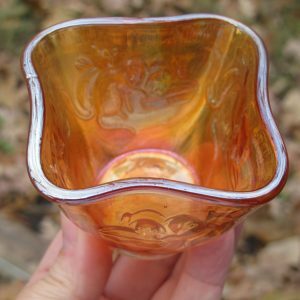 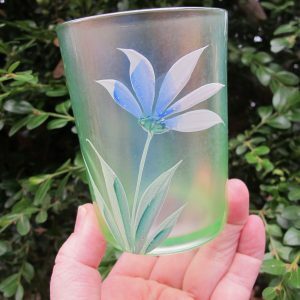 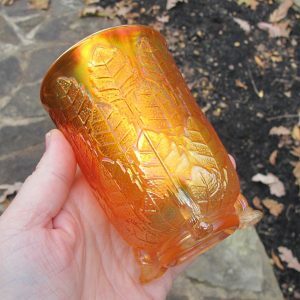 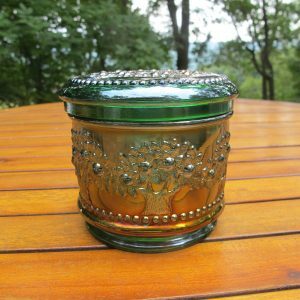 Check back often to find new pieces of antique Fenton Art Glass for sale.